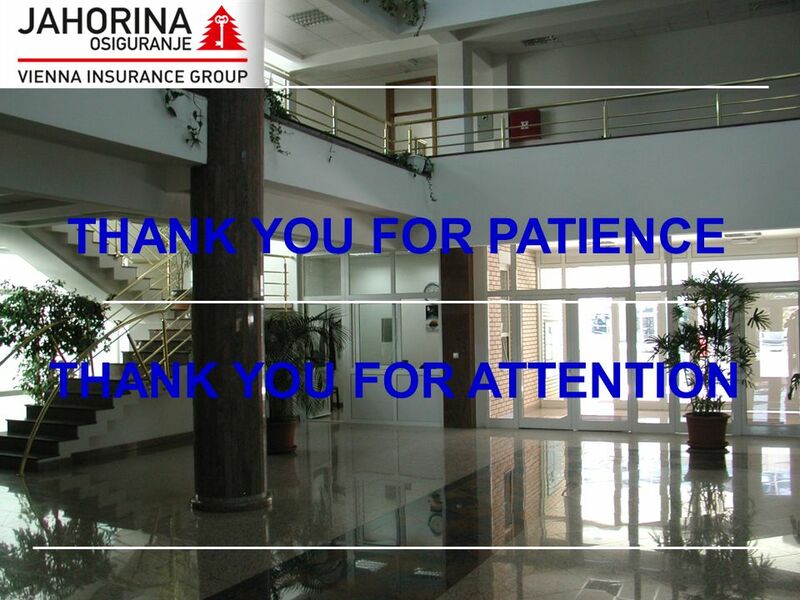 FOR EVERYTHING VALUABLE TO YOU... Press conference Jahorina osiguranje ad Dr Miroslav Miskic, General Manager "Jahorina osiguranje" ad Pale – RS/BiH Banja. 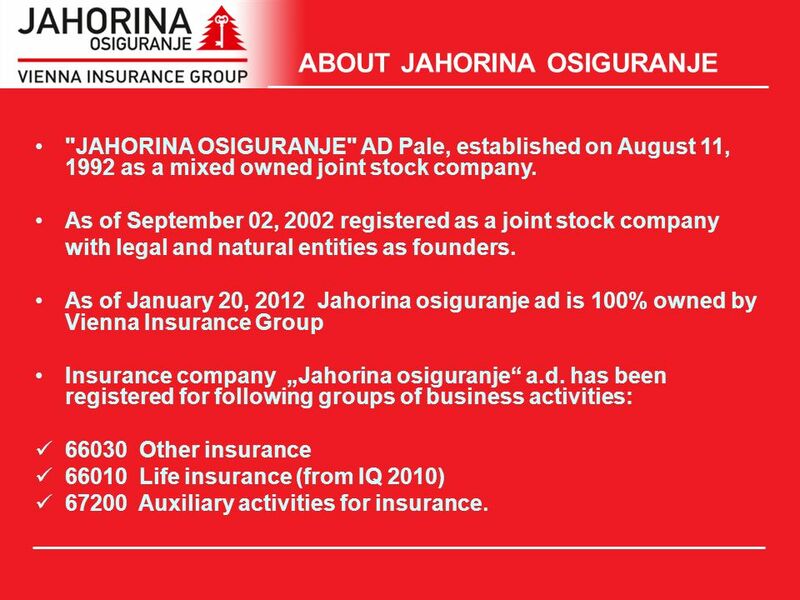 3 ABOUT JAHORINA OSIGURANJE "JAHORINA OSIGURANJE" AD Pale, established on August 11, 1992 as a mixed owned joint stock company. 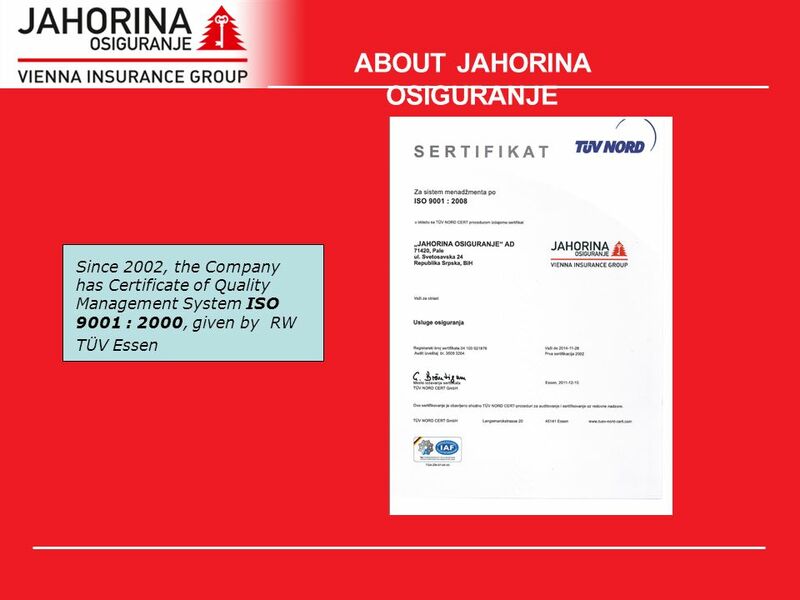 As of September 02, 2002 registered as a joint stock company with legal and natural entities as founders. 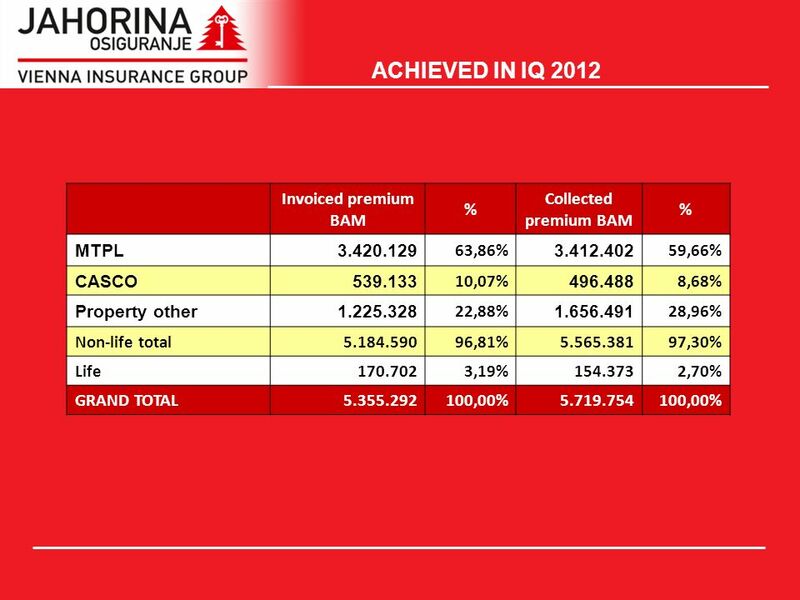 As of January 20, 2012 Jahorina osiguranje ad is 100% owned by Vienna Insurance Group Insurance company Jahorina osiguranje а.d. 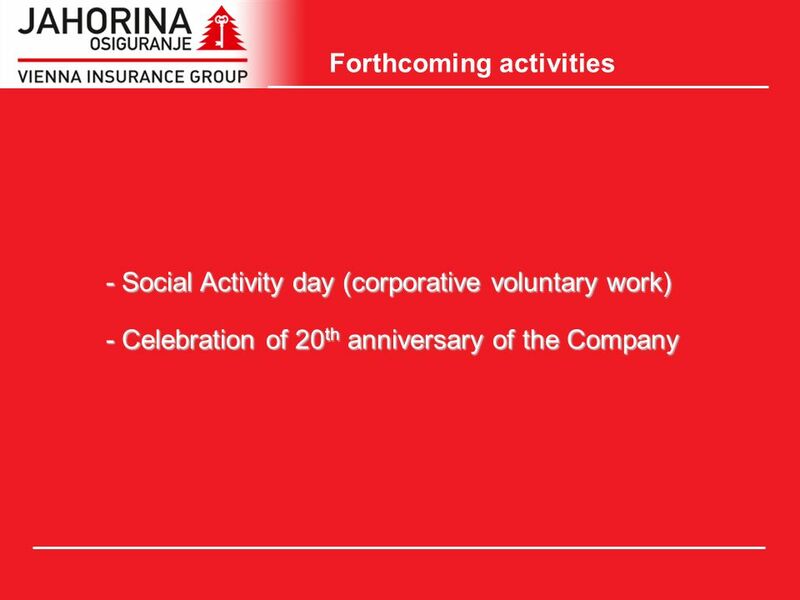 has been registered for following groups of business activities: 66030 Other insurance 66010 Life insurance (from IQ 2010) 67200 Auxiliary activities for insurance. 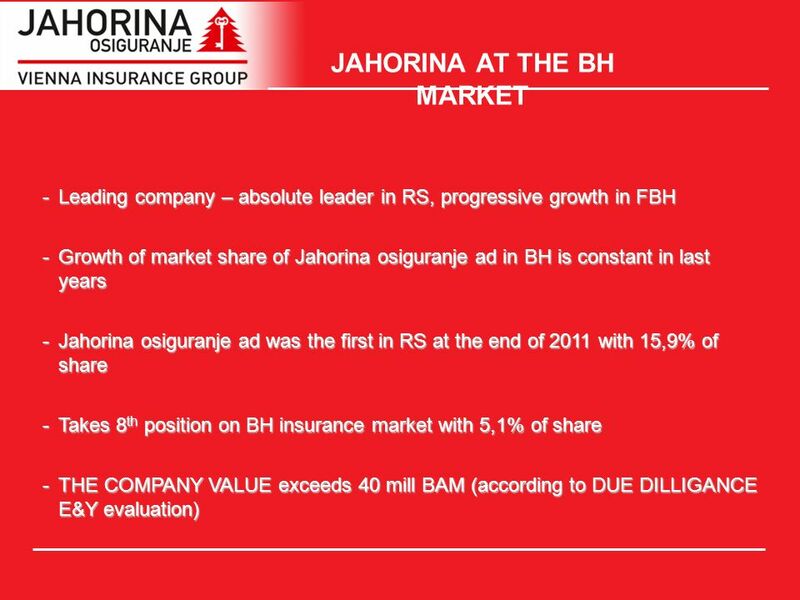 4 ABOUT JAHORINA OSIGURANJE Jahorina osiguranje a.d. Pale operates at entire territory of Bosnia and Herzegovina. 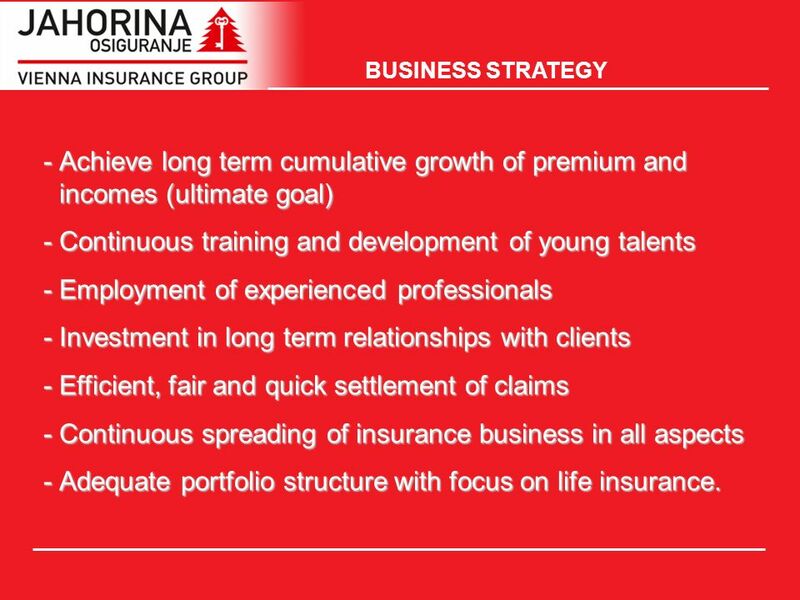 Business network comprises 8 branch offices with over 40 local offices and field offices throughout BH. 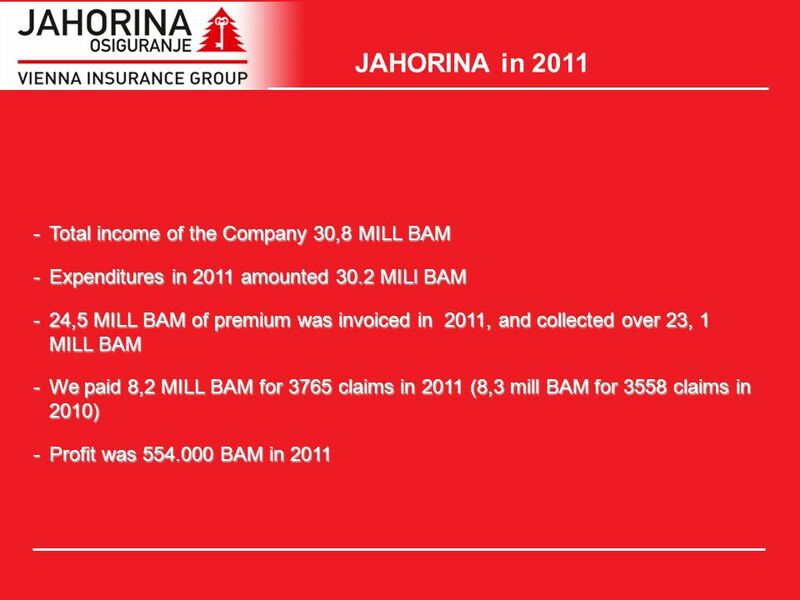 Company is founder and owner of Jahorina auto DOO, with capital share of 100%. 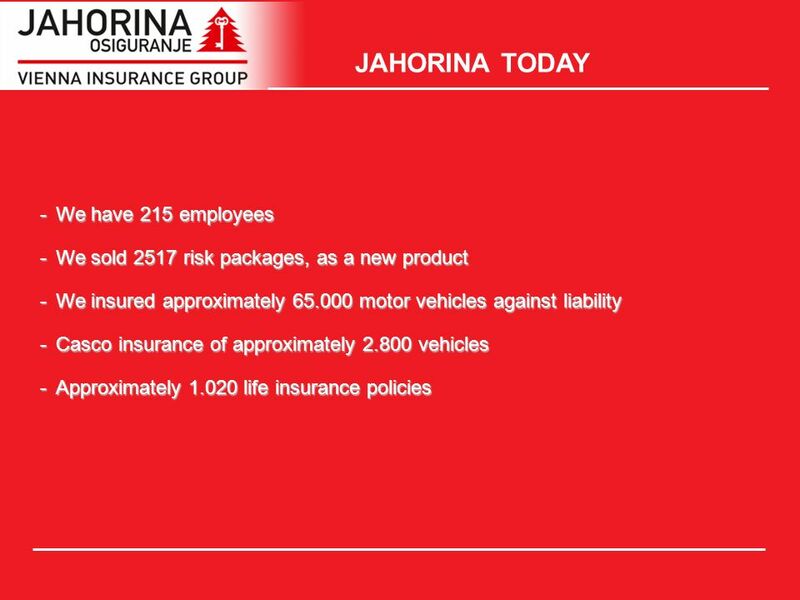 Jahorina auto DOO is specialized for vehicle technical checkup services and has widespread network of 30 stations for technical checkup of vehicles in all Republic Srpska. 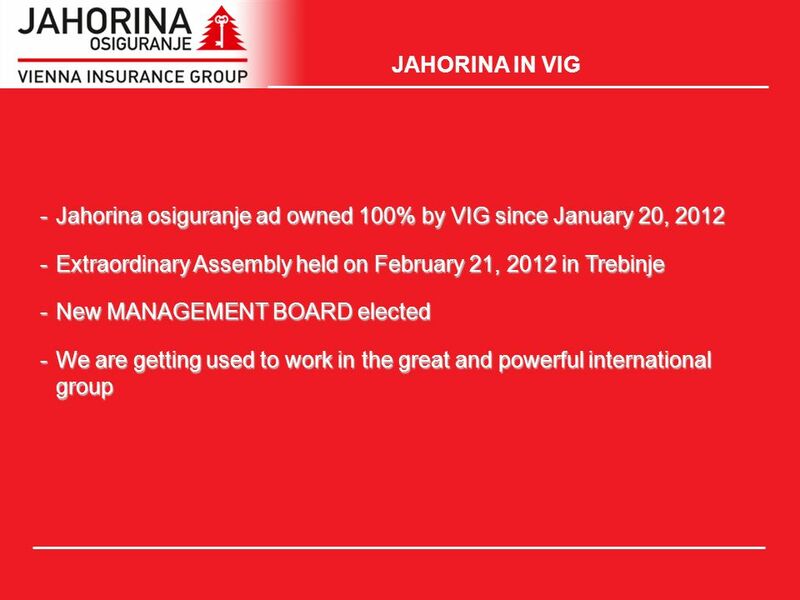 Download ppt "FOR EVERYTHING VALUABLE TO YOU... Press conference Jahorina osiguranje ad Dr Miroslav Miskic, General Manager "Jahorina osiguranje" ad Pale – RS/BiH Banja." Survey Internal Communication trends in the Italian banking sector Mario Spatafora Simone DellOrto Milan, September 2002. 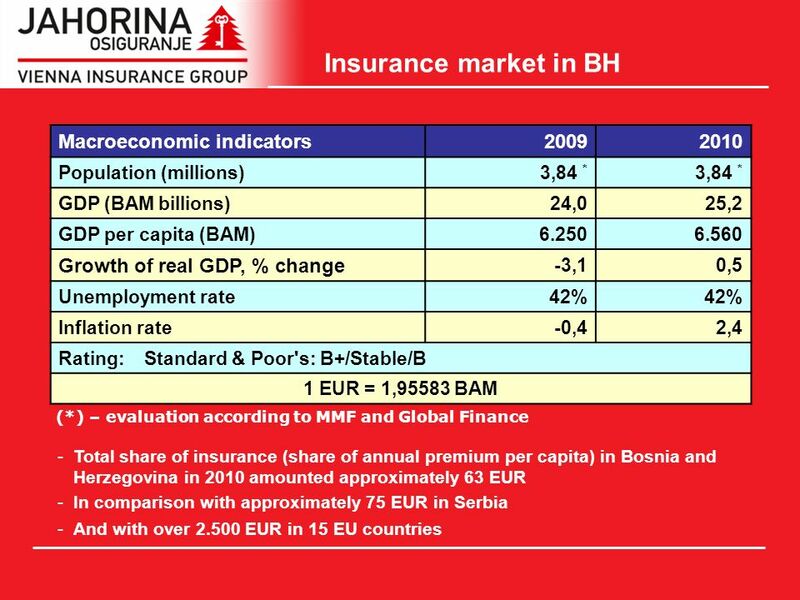 Wiener Institut für Internationale Wirtschaftsvergleiche The Vienna Institute for International Economic Studies The Balkans: Problems and.